Spring specials for a limited time only. Our Commitment to Energy Efficiency Means You Save on Your Utilities! Upscale, gated community with exceptional amenities in a desirable location. Taylor Woods offers the best in contemporary apartment living in a beautiful wooded setting. 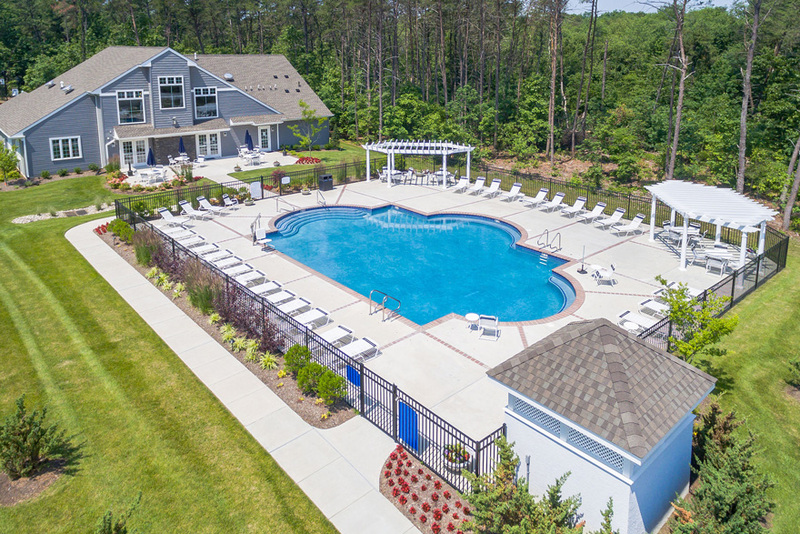 At Taylor Woods you’ll come home to a private, gated, community with luxurious resort-style amenities including an elegant clubhouse with free wifi, fitness center, fully-equipped business center, outdoor pool complex, tennis & basketball courts, and a beautiful walking trail. Taylor Woods is a private enclave where everything you need – shopping, dining and entertainment - is nearby! With extraordinary apartments and resort-style amenities, Taylor Woods is a great place to call “home.” When you do leave the comfort of your home, you’ll find everything you want – shopping, dining, and entertainment – all conveniently located near your private enclave. With easy access to Routes 73 & 70, I-295, the NJ Turnpike, and the AC Expressway, it’s an easy drive to Philadelphia/Atlantic City and all shore points. Minutes from the NJ transit train station in Atco, Taylor Woods is a carefree commute to Center City Philadelphia or Atlantic City casinos & shopping. Taylor Woods Apartments offers a variety of 1, 2, and 3 bedroom floor plans to suit your lifestyle. Each of these luxurious Energy Star® apartment homes is packed with elegant and practical living features like stainless appliances, heating and air conditioning, designer trim, granite countertops, ceramic baths, spacious closets and café bar (most plans). Taylor Woods has everything you could want for luxurious living and lavish entertaining.